Have you ever heard us brag about how Your Employment Solutions has the best people in the Utah staffing and jobs industry? Every month you say? Good, we're doing our job. And here we are in March with an employee spotlight on yet another one of our amazing Utah jobs and staffing specialists. Jessie is just a genuinely happy human being. Her bright smile and her fun, positive personality set her apart as a person who you just instantly can't help but like. She's a dedicated, hard worker, and she truly wants to help put jobseekers in Utah jobs they'll enjoy. Working for a company that treats me like a person, not a number. YES wants me to succeed and they will do everything they can to help me get to where I want to be. Kevin Hart, he's the funniest man alive! 7. Who gets confused for the other Jessie more? You or Jesse? Be yourself. Don't say what you think we want to hear, we want to find a job that fits best for you; that's our goal. 11. The President and VP of YES, Reed Laws and Kerry Westenskow, are the judges of a dog show costume contest. 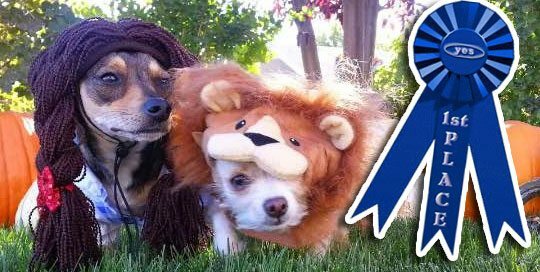 What costume would you dress your dogs in to impress the two of them for the win? Well, last year they were Dorothy and the cowardly lion. And they were cuter than words can describe! Kerry would love the Dorothy, he’s our Ogden Grandma – a sweet, delicate old lady. Reed is more of the lion, he acts tough, but really his tail is between is legs. And his hair looks like a lions mane come Halloween. 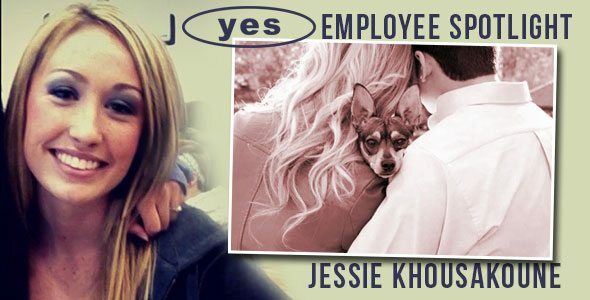 Haha, thanks Jessie for all the work you do to make Your Employment Solutions the leading staffing agency for jobs in Utah!